North Korea began celebrating its 70th birthday Saturday with a showcase of its achievements -- without a missile in sight. The Democratic People's Republic of Korea was proclaimed on September 9, 1948, three years after Moscow and Washington divided the peninsula between them in the closing days of the Second World War. The anniversary is a major occasion in the North, and is being marked with a series of events expected to include a military parade and the return of the 'Mass Games' -- unique acrobatic shows that are staged on a vast scale. 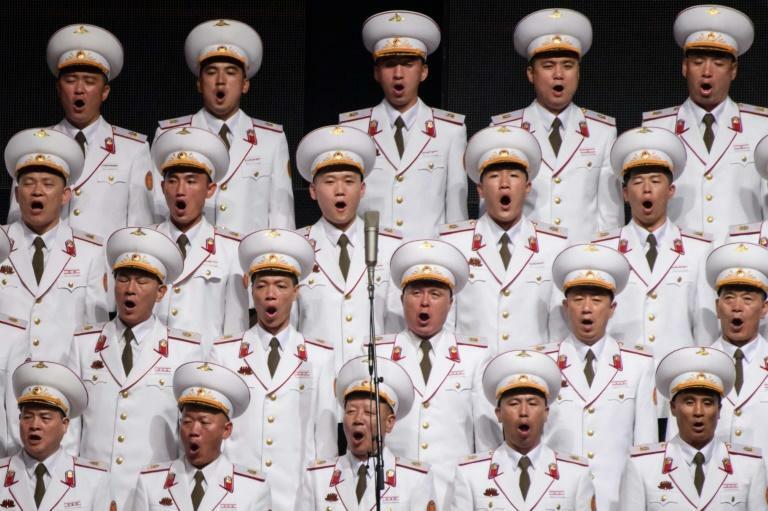 The celebrations began on Saturday evening with a concert in front of an invited audience of several thousand people at Pyongyang Indoor Stadium. 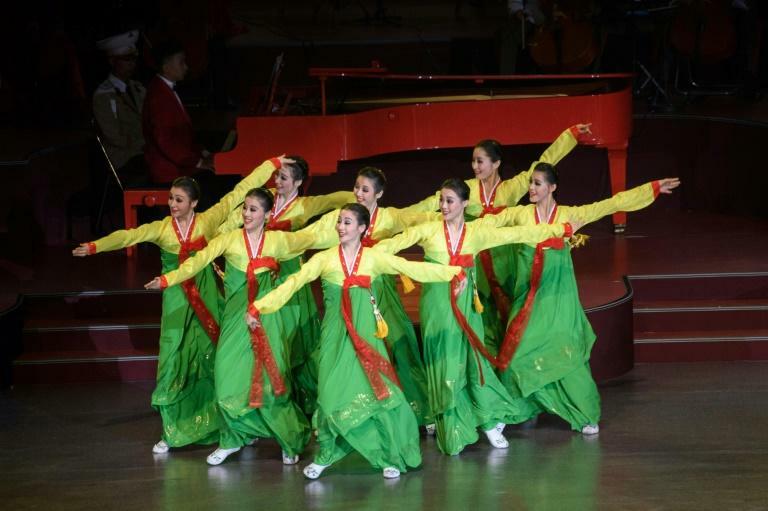 Featuring three of the state's top musical ensembles -- the State Merited Chorus army choir, the Samjiyon Orchestra and the Mansudae Art Troupe -- a red grand piano took centre stage. 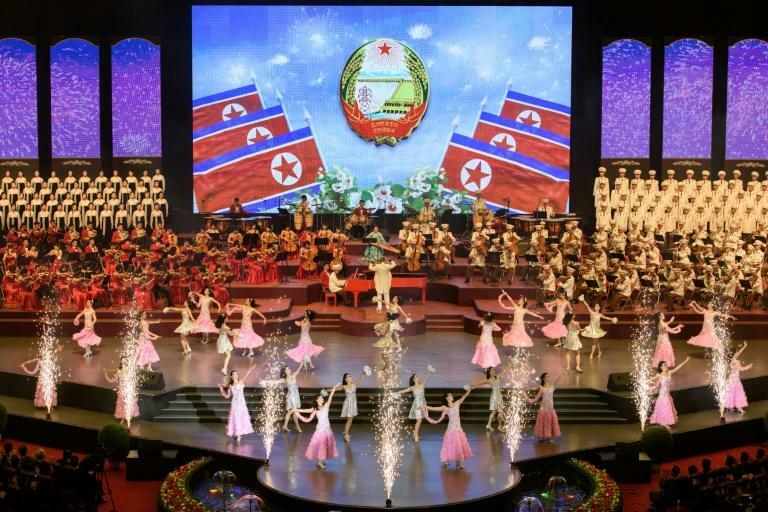 At such events in North Korea performers normally play in front of a giant screen displaying the country's successes. In recent years that has always included footage of the ballistic missile launches under leader Kim Jong Un that, along with Pyongyang's nuclear tests, have earned the North multiple sets of UN Security Council sanctions. But in a dramatic turnaround on the peninsula triggered by the Winter Olympics in the South in February, the North is engaged on multiple diplomatic fronts, even as the US insists it give up its weapons. After a June meeting between Kim and US President Donald Trump in Singapore and its third summit with the South's President Moon Jae-in due in Pyongyang later this month, the North is keen to send a different message to the past. Instead of missiles, the imagery at Saturday's concert highlighted North Korean landmarks, from its spiritual birthplace Mount Paektu to the Pyongyang skyline, and economic development, with shots of factories, steel plants, and abundant fields of wheat. Only a few short segments featured the military, with only conventional equipment on display. And in one, when tanks rolled, jets flew and infantry marched, a message ran across the top of the screen: "Military strength ensures peace". Moments later the hardware was replaced with images of ripe red apples. In April, leader Kim declared the North's nuclear programme a success and said the country's new strategic priority would be "socialist economic construction". Every time Kim's grandfather, the North's founder Kim Il Sung, or his successors appeared on screen the audience broke into applause, with the loudest reserved for the current leader. Songs included 'Socialism, I love you', and the first-ever public performance of a new ode to Kim Jong Un, "Be loved, our father". "The Supreme Leader visits every family even at midnight and even at dawn," ran the lyrics. "He hears everything the ordinary people say.... We are confident in his powerful leadership, taking us to the future, Oh, Comrade Kim Jong Un."